After an investigation by the inspector general, NASA says what we already knew: Google's top brass use tax-subsidized gas to go on pleasure trips around the world, saving millions of dollars it could easily afford. We found that a misunderstanding between Ames and DLA-Energy personnel rather than intentional misconduct led to H211 enjoying the discounted fuel rate for flights that had no NASA-related mission. 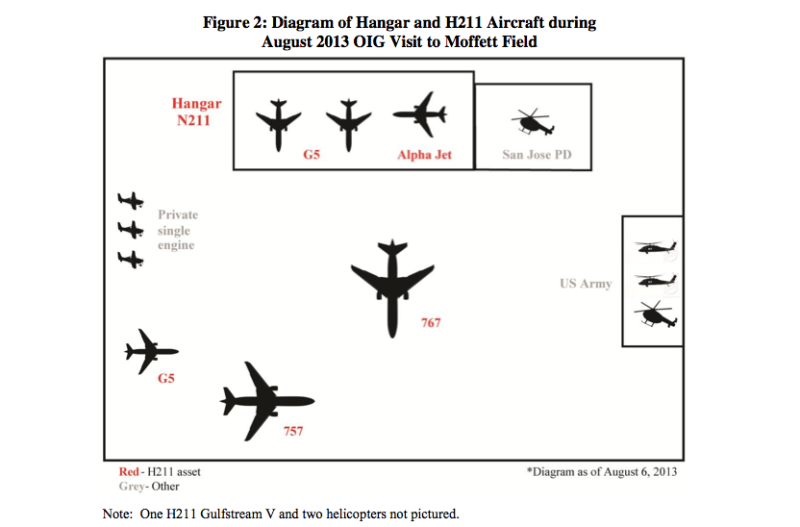 From September 2007 until August 2013, H211 purchased fuel at Moffett from DLA-Energy either directly or through NASA for both its personal (non-NASA related) flights and NASA science flights at a rate intended only for government agencies and their contractors. Even though Ames officials accurately reported to DLA-Energy the nature of the Center's agreement with H211, DLA-Energy misunderstood that H211 was drawing fuel for both private and NASA-related missions. While this arrangement did not cause a loss to NASA or DLA-Energy, it resulted in considerable savings for H211.3 Specifically, we calculated that since inception of its lease H211 paid approximately $3.3 million to $5.3 million less for fuel supplied by DLA-Energy than it would have paid to buy fuel at market rates. Emphasis added. The report, which you can read in full below, says Google will pay "market prices" for, say, flying Eric Schmidt to Martha's Vineyard, and a discounted rate for "scientific" flights that provide NASA with atmospheric data. "As a result of this new arrangement," the report continues, "the Government is collecting more money than it costs to provide the fuel to H211." Well that's good—it only took several years to straighten this all out.